Hello my name is Alfredo I am the Building Maintenance Contract Coordinator for the Village of Oak Park and I really APPRECIATE the GREAT job that Mr. Alex Nunez does every time he is here! we are proud to have him service this account!!! thank you!!!!!!!!!! please let me know how i can get service inspection reports sent to me electronically. also I need your license from the Health Dept. Your technician was very helpful, prompt, and polite. We will definitely use you again. PROFESSIONAL SERVICE FROM NICE PEOPLE. Very satisfied with our technician. I am happy with the service and PCO. Amir is just amazing he goes above and beyond on every job he tackles. I so appreciate all that he does I hope that he will be recognized. Thank you Missy Kolbash 224-521-8414.
he does excellent gob and when I call him hes here as soon possibie. I am very happy with your service, Ivan has good communication with scheduling which is appreciated. Mccloud pest. lt is a company that always completes its work and are very professional in what they do thanks McCloud for you work and for the service,. McCloud takes care of our needs in a timely manner. We are very happy with our service. Before we were never really sure what to expect with our PCO but now we don't have to worry about pests! Liz Kusper is great. She knows the business well and i would follow her to make sure we are covered by great service and workmanship. Hola soy Erika.estoy completamente feliz por el servicio que dio el Sr. Fernando muy profesional y atento.los recomendaría con todos los negocios...😄😄😄😄😄. Hello just want to say that Stan OUR technician is very thorough at his job!! I really appreciate it and he is very customer friendly always has a GREAT ATTITUDE and that is very important!!! thank you for having him on your staff. This is a great service. Anytime we call McCloud Pest Management is always there to meet our needs! Thank you McCloud. The gentlemen that come in are always very polite and thorough. They also get right to their work. Thanks for always showing up when needed great customer service! Amir Shehata is our service rep.who is very aware and responds quickly to any complaints we may have from tenants. thank you! Every time I call with a rodent issue they are always accommodating and we don't ever have to wait 2 days before they come out. The techs are always professional and considerate. Todd is very friendly and a pleasure to see every 2 weeks. He takes good care of the building as well. Thank you for the speedy delivery of your tech when needed. A night & day difference in our schools since McCloud took over👍🏻. Our service tech Dan gives us great customer service. 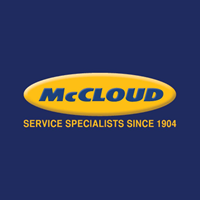 We have used Mccloud for over a year, very happy with the service. So far since we started using McCloud, our pest issues have diminished substantially. They are always on time and very professional. we have used you for several locations no issues. Tech is very friendly to all our staff and very attentive to all our needs. I’ve now used McCloud at my last 2 properties. They have always been able to fulfill any requests as I needed. Amir is great and he follows up after any issue reported.